Colonel Loud - California Feat. Young Dolph, Ricco Barrino & T.I. Home>New Songs>Colonel Loud Songs> Colonel Loud - California Feat. Young Dolph, Ricco Barrino & T.I. Colonel Loud Feat. Young Dolph, Ricco Barrino & T.I. 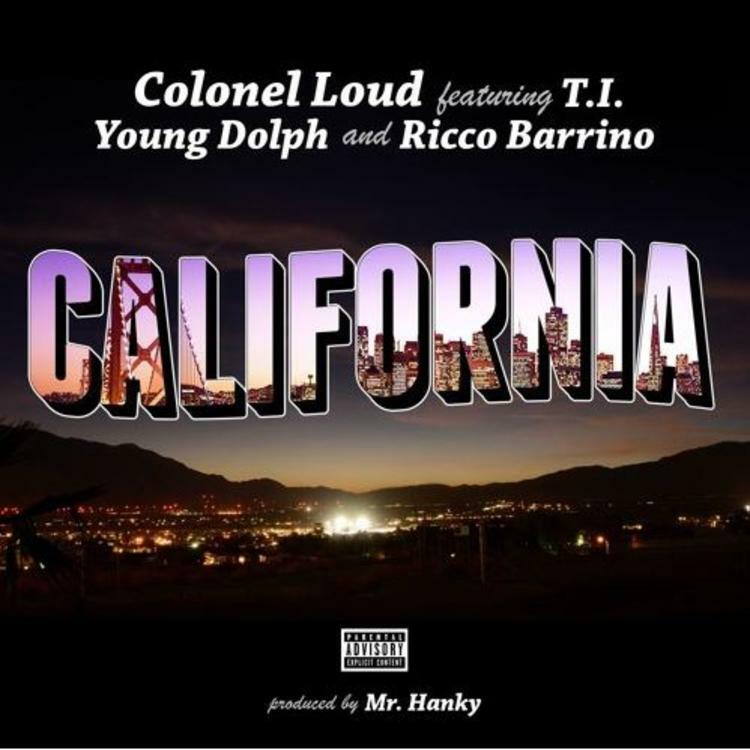 North Carolina rapper Colonel Loud calls on Tip for the remix to his hit single "California" featuring Young Dolph & Ricco Barrino. A few months ago, North Carolina rapper Colonel Loud linked up with Young Dolph & Ricco Barrino for a hit single called "California," which has since reached #1 on Shazam in a few different markets, including Atlanta. Looking to take the record even further however, the NC rapper decided to call on Tip for a guest verse on the single’s official remix. Opening the track off, Tip delivers his usual slick rhymes & effortless flow, while putting on for the West Coast in the process. Take a listen and let us know what you think. Original version available now on iTunes. Colonel Loud Young Dolph Ricco Barrino T.I. SONGS Colonel Loud - California Feat. Young Dolph, Ricco Barrino & T.I.